iTrader is a MetaTrader-only broker with entities regulated in the EU and Belize. The broker offers a basic experience across the board, with its one highlight being education and a low minimum for its Platinum Account offering, in which spreads are comparably lower. Please Note: iTrader was not included in the 2019 annual review. As a result, this broker's ratings may be outdated. Read our Best Forex Brokers 2019 guide for a look at the top rated forex and CFDs brokers. Founded in 2012, Hoch Capital Ltd (iTrader) became licensed with the Cyprus Securities and Exchange Commission (CySEC) in 2013 and acquired passports throughout Europe under MiFID regulation using its iTrader brand. iTrader offers the popular MetaTrader4 (MT4) platform developed by MetaQuotes Software Corporation, and provides forex traders access to 172 tradeable instruments, including 47 currency pairs and 115 CFDs on indices, commodities, and single-share CFDs across US and European exchanges. Belize-based Bayline Trading Limited (Bayline), an investment firm regulated by the International Financial Services Commission (IFSC) of Belize, provides the pricing and rates in iTrader’s MT4 platform, which it has packaged for installation for iTrader clients. The brand has a UK entity, named Bayline Global World Limited, which is the owner and operator of the Global.iTrader offering. Bayline doesn’t offer trading to retail clients directly but only to investors with over $100,000 in their portfolio, and is used to power iTrader’s MT4 offering. Here at ForexBrokers.com, we maintain the largest independent regulatory database available on the web. Using 28 different variables, we have created a proprietary 1-100 score (the higher the better) of overall trustworthiness, which we call the Trust Score. Here is our trust summary of iTrader. The following table summarizes the different investment products available to iTrader clients. iTrader offers three commission-free account types, which include its Silver, Gold, and Platinum account offerings, where the trading costs will vary in terms of the applicable floating (variable) spreads. 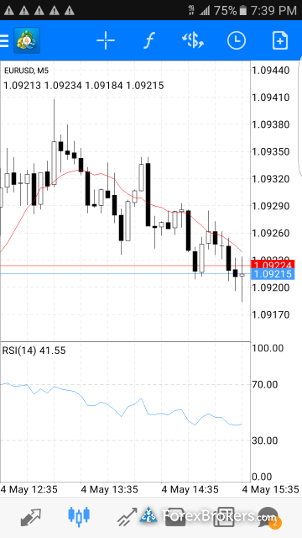 The Silver Account has a EUR/USD spread of 2.2 pips listed by the broker on its website, whereas on the Gold Account spreads on the pair drop to 1.3 pips, and drop even further to 0.7 pips in the Platinum Account. The Platinum account is the clear winner out of the three as it has lower spreads, only requires a $250 deposit, has the potential for lower margin requirements (i.e., higher leverage) than the other two account types, and the swap rates for holding overnight positions are also discounted by half compared to the Silver Account. iTrader offers research content from its in-house staff and third-party providers, an economic calendar, an earnings calendar powered by Finviz, and four calculators ranging from pivot to pip calculators. iTrader provides a market summary of various instruments, with a sentiment indicator powered by MTE-Media. 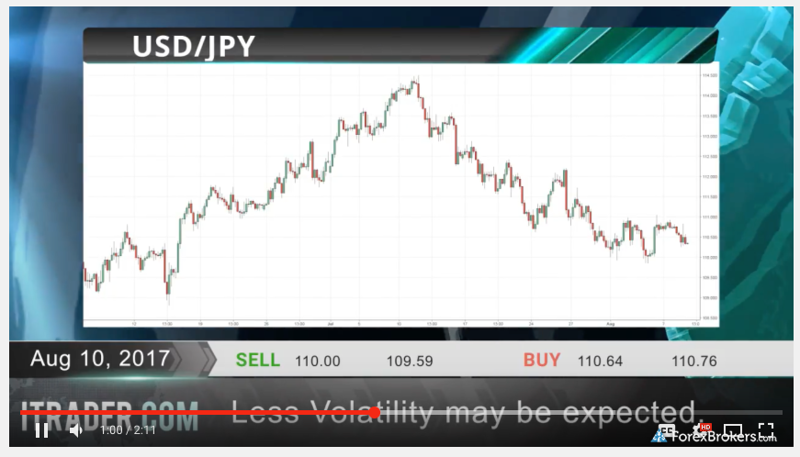 The firm offers a daily market update post and video recap of headlines, as well as individual video updates on its YouTube channel, with technical analysis on various currency pairs each day. Overall, iTrader has built an ok selection of research options for its clients across its in-house and third-party solutions, finishing 34th out of 43 brokers in our 2018 Review. Its discontinuing of the ZuluTrade and cPattern signals offering narrowed its overall research-related resources when it comes to trading signals and copy-trading. iTrader is a MetaTrader4-only broker. This means it offers the MT4 platform suite from MetaQuotes Software Corporation, developer of the widely popular MT4 and MT5 platforms for desktop, mobile, and web. To learn more about MT4, read our full MetaTrader guide. Since iTrader is a MetaTrader-only broker, iOS and Android versions of the MetaTrader 4 mobile app come standard and are both available for download from the Apple iTunes store and Android Playstore, respectively. It is worth noting that iTrader has a robust educational offering powered by MTE-Media, a third-party provider of broker education content, which includes videos and ebook-style documents. 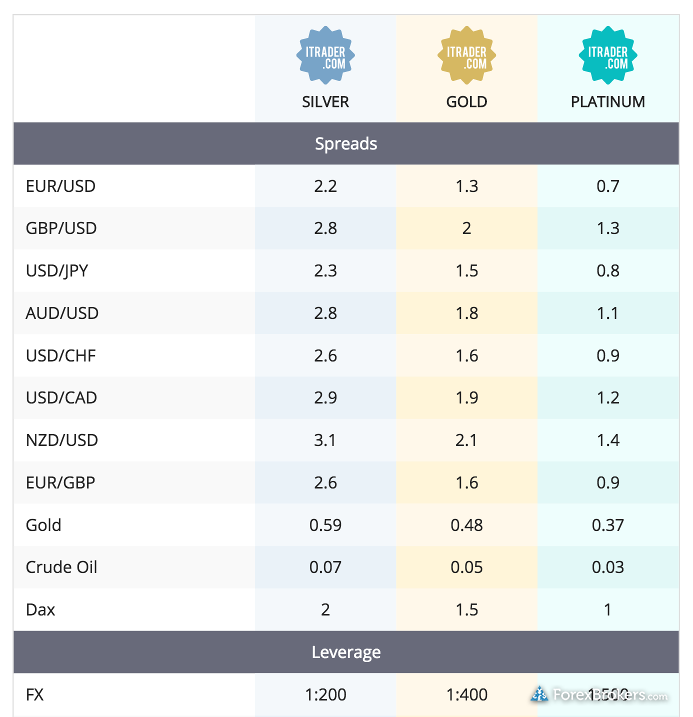 In addition, while many brokers will reduce leverage for larger trade sizes, iTrader offers higher leverage in its Platinum Account offering compared to its other account types, which require a smaller deposit (although there might be caps on certain trade sizes). iTrader had launched CFDs on cryptocurrencies in 2017, however, like a handful of other brokers, shut down their offering due to market volatility and the challenges surrounding proper risk management as well as fragmented liquidity. As of this review’s publishing, iTrader has not announced if, or when, it will re-enable crypto trading for clients. Traders looking for a MetaTrader broker regulated throughout the EU will find iTrader provides minimal offering across the board. Research trails industry leaders and its trading tools are a plain MT4 offering. If there is one bright spot, it’s the broker’s educational offering. Adding a greater range of tradeable products would help the broker boost its offering as an emerging multi-asset provider as it already offers nearly 170 products to trade. Adding an additional regulatory license outside of Europe would boost the broker’s trust score and global reach. Select one or more of these brokers to compare against iTrader. *iTrader did not participate in the 2017 Online Broker Review, as a result the following data may not be up to date. Find out how iTrader stacks up against other brokers.